Please use the form below to request to have your car collected or to return it back to Cocoon Vehicles. Please Note. We require at least 5 working days notice to collect a vehicle and collection will only be confirmed once you have received an email from ourselves. If Collection, What Postcode would this be from? 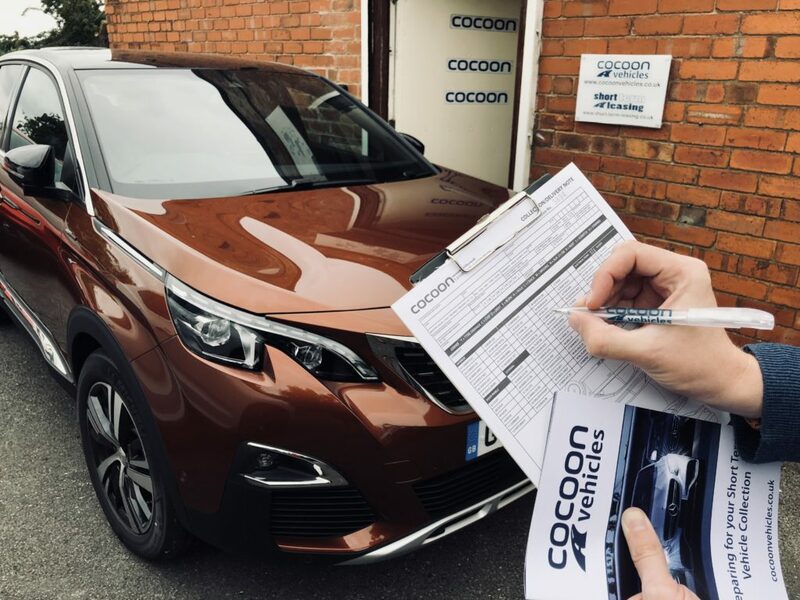 Please wait until you receive confirmation from Cocoon Vehicles before making any arrangements, we will confirm the date of the collection, times will be available on the day. Should the collection fall on a Friday or over the weekend, the car will not be off hired until the next working day. Unless the car is subject to a minimum term contract. Should you be subject to a minimum term contract and this has gone over, then you will be charged for the additional days. ** - Collection is chargeable, a price will be provided at the time of confirmation. *** Weekend collection maybe available on request at an additional charge, although the vehicle will not be off hired until the next working day.